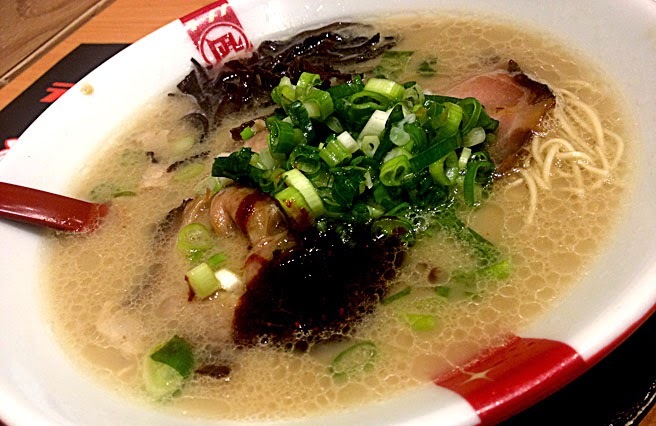 Ever wonder how Japanese noodle dishes or ramen as they are called just boomed here in Manila. 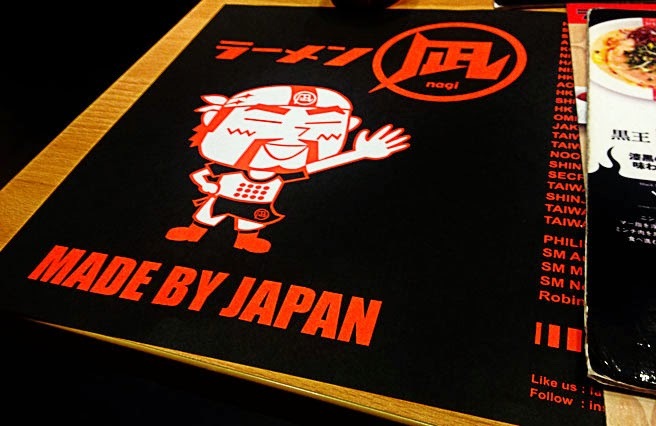 It was 2013 when there are Japanese chains opening up restaurants all over the metro. And everyone’s been crazy about it. Well, the Philippines is undeniably a “Chinese mami” country, we all loved and grew up eating a quick-cooking noodles in a bowl. And it’s not far from what Japanese had brought here, which has more different flavours and more different styles. Ramen is made of Chinese-style wheat noodles, typically served in a meat or fish-based broth, flavoured with soy sauce and uses toppings. 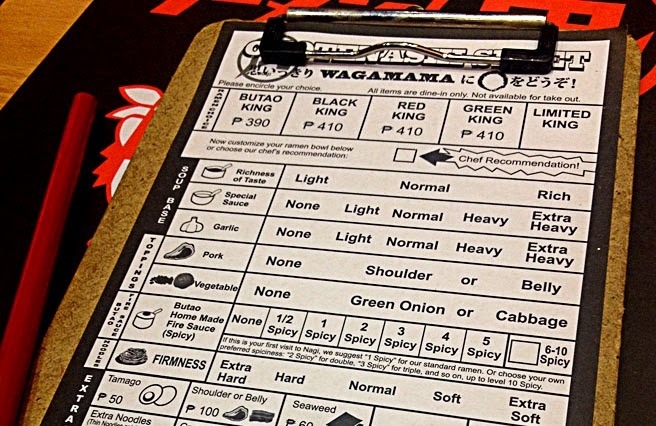 From today, there are more than 30 restaurants in Manila that offers ramen alone. And recently, I was able to try one of the international brands growing today, the Ramen Nagi. 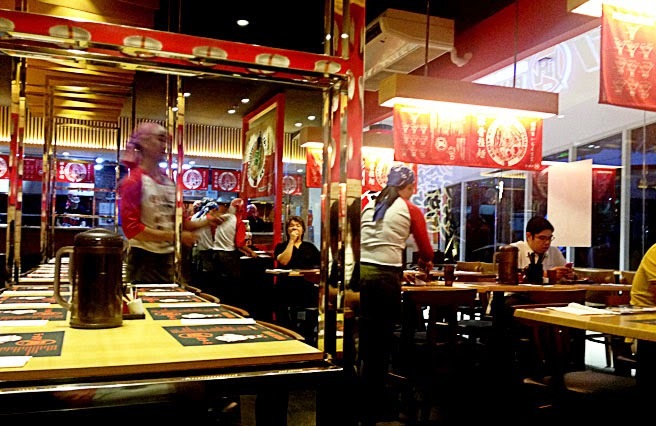 Ramen Nagi is recognized as the best in Tokyo, and better known as Butao at one of the franchises in Hong Kong. 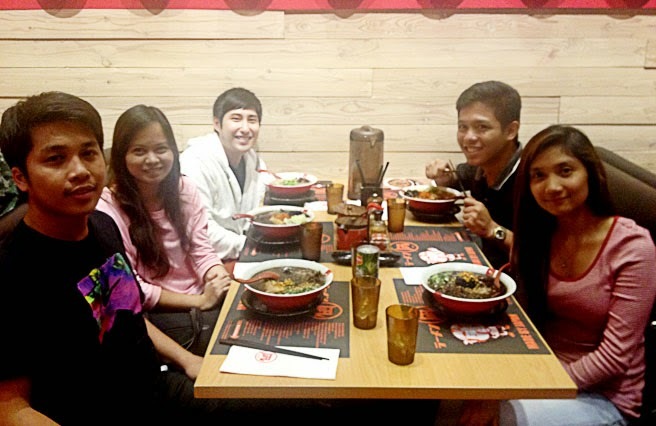 And here in Manila, Ramen Nagi’s master Ikuta Satoshi opened its first branch at the 5th floor of SM Aura Premier. Now there are branches also opened at SM Mall of Asia, SM City North Edsa, and Robinson’s Magnolia. If you are either from South or North, you can ride an MRT or Bus going to Ayala-MRT station or EDSA-Ayala. From there, ride a BGC bus “East Route” and alight at Market Market Bus station. Then you could just use the pedestrian lane to get to the SM Mall which is just located exactly opposite of the parking area of Market Market. There is also a jeepney terminal at EDSA-Ayala located at the back of the Shell Gasoline station, if you want a faster route as the jeepney goes directly to Market Market without passing through different streets to drop off unlike with the BGC bus. As we entered, you would feel like being transported in Japan, the interiors have a strong Japanese vibes. Then crew will immediately welcome and serve you. Good thing that there was no long queue when we arrived and we were able to get a seat right away. Maybe we were just earlier on the usual dinner time. Because I heard from some friends that it is usually crowded here. I think this is because the place is not that spacious with only limited seats. They have a unique and simple way of ordering. You will be given out their menu, and a small white sheet for you to put up your orders. The sheet is just a checklist, you just need to encircle your answers just like in a multiple choice exam, except that all of your answers here is correct depending on your preference. 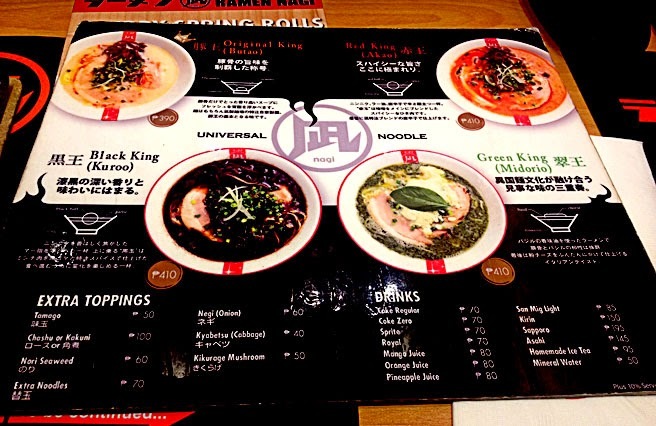 Ramen Nagi offers four main ramen Kings: the Original King Butao, Red King Ramen Akao, Green King Ramen Midorio, and Black King Ramen Kuroo. After you have chosen your ramen king, it’s time for you to be creative or adventurous by trying different combinations on what you would want it to be prepared. But if you wanted to be safe, you could just check on the chef’s recommendation and it's up to the chef on how he will prepare the dish, just like what I did. Anyways, I'm sure the crew will be able to explain to you thoroughly on how to order when you visit. I ordered the Black King because it is the most suggested from the sites I've read, also recommended from some friends, and I was just so curious about it. 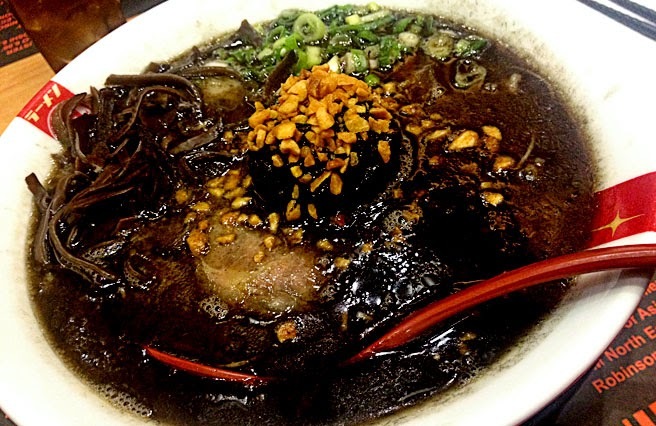 The Black King has the squid ink with chopped squid, black ball of ground pork and lots of garlic. For the first timers, they offer the Original King Butao which is the most basic and has the traditional tonkatsu broth. 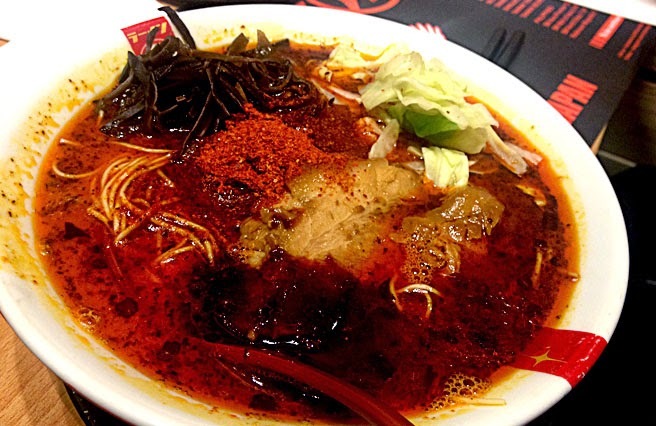 And if you love spicy, you must order the Red King Akao which is the chili ramen version. Then if you are somewhat Italian foodie, you can choose the Green King (No one ordered so I wasn't able to take a picture of it), because it’s like eating pesto pasta with basil, olive oil, and cheese. (I would definitely order this one when I come back as I am a really pesto lover J ). I am not really a ramen lover, but on the whole, these dishes are somewhat unique, tastier, and more innovative from the mainstream noodle dishes we knew. 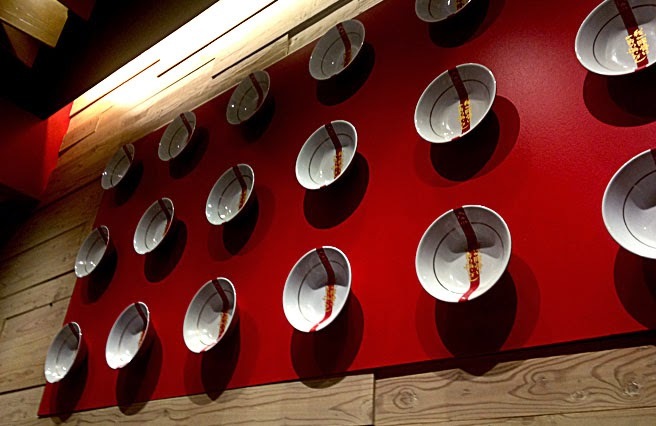 I was so full from the big bowl of noodles they served, and satisfied on the richness of flavour of their ramen. So after eating here, I’d like to try now the different flavours and styles of ramen around here in the metro. It would be a great and fun dining experience.